We are Digital Dealership Solutions. Our goal is to help your dealership reach the next level of digital marketing. Our team has over 15 years of automotive marketing experience. Our strategies are personalized to fit your unique goals and objectives. We offer consultation and training to help you understand concepts, trends and assist you with coming up with new creative ways to help you stand out from the competition. DDS also hosts regular coaching events and learning seminars. Get in touch with us and we’ll show you how we can help your dealership. We help you create personalized goals and objectives, outline unique marketing strategies and help create original marketing materials to help your dealership stand out. 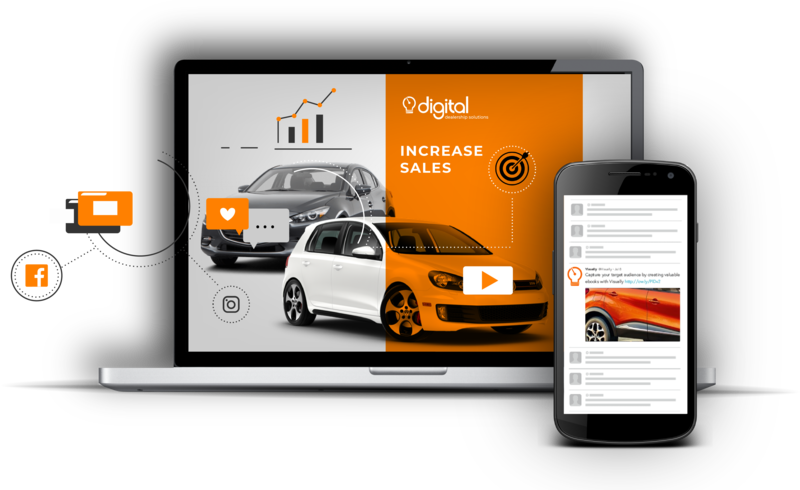 Drawing from our vast experience in both the automotive and marketing industry, a consultation with DDS is the first step towards achieving digital success with your dealership. With our help, you will be able to target the right customers and improve your overall sales. With competition high, a good marketing strategy is key. Schedule your consultation with DDS today.